WUHAN is the oldest cymbal and gong factory in the world. Chinese craftsmen have been making the finest ALL handmade gongs for centuries, and now you too can own one. 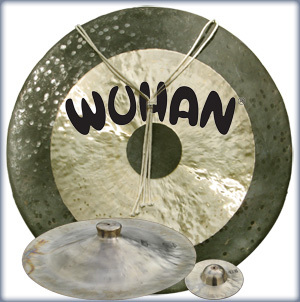 All cymbals and gongs are hand hammered and are of B-20 composition. This makes them the first choice of the world’s leading symphonies and musicians. One piece, hand hammered construction, crafted in centuries old tradition.